All this genuflecting over Amazon is a bit much. CEO Jeff Bezos probably has made up his mind, and this “open” bidding process is a way for him to play one region off another to win lucrative tax breaks for the company’s second corporate headquarters. As cities around Massachusetts prepare bids, we shouldn’t be doing this for Amazon but for ourselves. Whether or not the company expands here, we need to remember who we are and who we want to become. The bids no doubt will include a variety of things we will do if Amazon chooses Massachusetts: Upgrade the T, bolster education, build more housing inside Route 128. We might even promise to be nicer to each other. A few years ago, Boston Mayor Marty Walsh got behind bringing the 2024 Summer Olympics to Boston in hopes that it would mean the T would finally get fixed, workforce housing would get built, and new neighborhoods would arise. 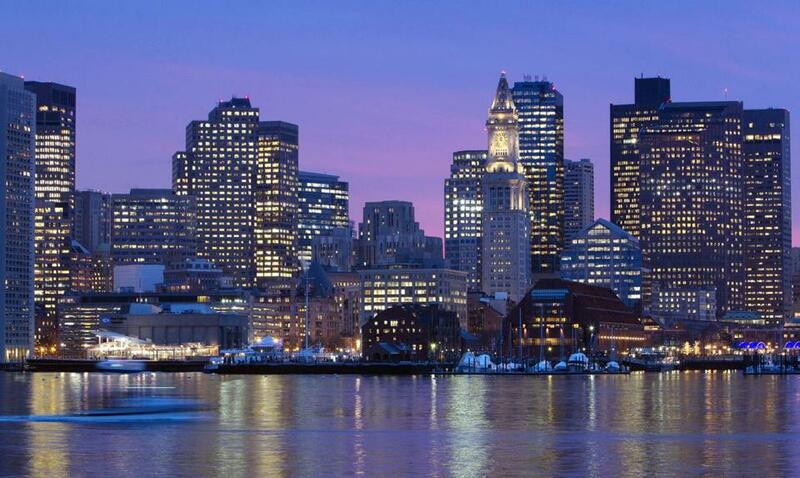 When Boston unceremoniously pulled its bid even after getting the nod from the United States Olympic Committee, the sentiment was: We don’t need to throw a two-week party for out-of-towners to get our wish list done. Our commuter rail system has the worst breakdown record in the nation. We’re still worried about the high cost of housing, and it will likely be decades before anyone mistakes Widett Circle for the Back Bay. The dream of the Olympics was about having a deadline to get things done. Bidding for Amazon’s North American headquarters gives us the same sense of urgency. But I have a feeling that if Massachusetts doesn’t get the nod, we will go back to the way things were as if the concerns related to Amazon’s arrival would go away, too. The reality is that the biggest problems Amazon headquarters would bring already plague Massachusetts, from inequality to traffic. Not to say we are standing still on any of this, but are we running fast enough? Our most intractable problems will require us to think big about how to solve them. Government alone can’t do it. Rather it will require the collective attention of business, education, and civic leaders. Sure, Bezos is the visionary we want, but let’s not forget the vision we have for ourselves. Much like the attention we are giving an Amazon bid now. Let’s make a promise to ourselves that we won’t just muddle along. That we will take some of the ideas that come out of the Amazon bids as a starting point to make Massachusetts a better place to live and work, whether it’s to fix the Seaport District’s transportation issues, build another tech corridor in Worcester, or devise a regional housing plan. A decade ago, the state made a $1 billion investment to cement Massachusetts’ reputation in life sciences. It’s time for another big bet, but this time in education, and the business community should take the lead on making this happen.